Crystals for connecting with Spirit Guides is the second segment in my Spirit Guides discussion. Last week I spoke about what Guides are and a little about my history with them. Did you catch that? Have you got an inkling yet? This week is a goodie because I’m going to share with a few of the crystals that came to me during meditation. They just popped out of nowhere and I’m sure if I hadn’t have written them down, I’d have missed it. 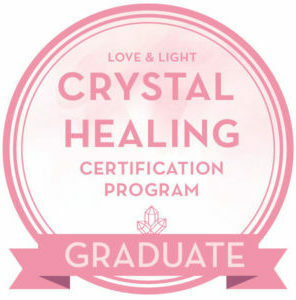 I’m not going to try fill this post with crystals for ALL the guides but if you feel I haven’t touched on one, ask and I’ll try to guide you if I can. It’s important to remember that the following are crystal guidelines. There are SO many crystals and SO many of them are linked to guides. You also, DO NOT need a crystal to communicate with your guides because YOU are the secret ingredient! Don’t forget that! Tektites and Moldavite are fantastic for connecting with Starbeings. You can bet there will be some alien energy if it’s a meteorite. If you are drawn to the stars, aliens, starseeds and generally feel like an outsider, take a look at connecting with Starbeings. As you may know by now, one of my guides is a starbeing and I didn’t have any specific crystals for working with him. I found that these crystals came through so strongly during meditation, which is pretty cool! Selenite and Celestite are beautiful, angelic crystals that promote communication with (Celestite) and connection (Selenite) to the Angelic Realm. You would be surprised how much love you can feel when you work with these crystals. It’s absolutely incredible! You may remember in my love post about Selenite, I actually spoke a little about an Angel meditation I had and the love I felt. Also, take note if you often receive feathers out of nowhere. Feathers can be a great indicator of angels and they can be used to work with angels. Selenite is a great one to work with if you want to connect with Unicorns. I’ve had a few meditations with Selenite where these beautiful, majestic creatures say hi. It truly touches your heart. Aqua Aura is one that recently came through to me while we were away. I started meditating with my piece and I saw mermaids jumping up and into the water, like dolphins do! Aqua Aura is a great one if you have no fear of depths, and want to work with Mermaids. I hope one of my besties is reading this because that line is just for her. Spirit Quartz for if you believe in Fairies. I haven’t myself worked with this realm but this crystal persistently tells me “fairies, fairies, fairies! !” This is why I’m including it, and even when I started writing this post, it’s all I hear. It may even be a call for me to work with them. Dragons is another one that someone here may be interested in. You can take a look at Fire Agate IF you can get hold of that or some Carnelian. I can never do something without remembering the beautiful animals. Animals are amazing and while I haven’t worked too in-depth with animals, I have a close connection with them. Most crystals can probably be linked to animal guides. If you find yourself drawn to animal guides which I believe we all have anyway, take a look at rocks you find in nature and at the beach. Often earth leaves us gifts and they are perfect to take into meditation to see what animal comes through. I suspect that if you read my blog or follow me, you will probably find yourself gravitating toward one or some of these crystals. You may also find yourself intrigued by a few of the guides. Next week, I’ll offer a few tips and tricks for working with these crystals and your guides. 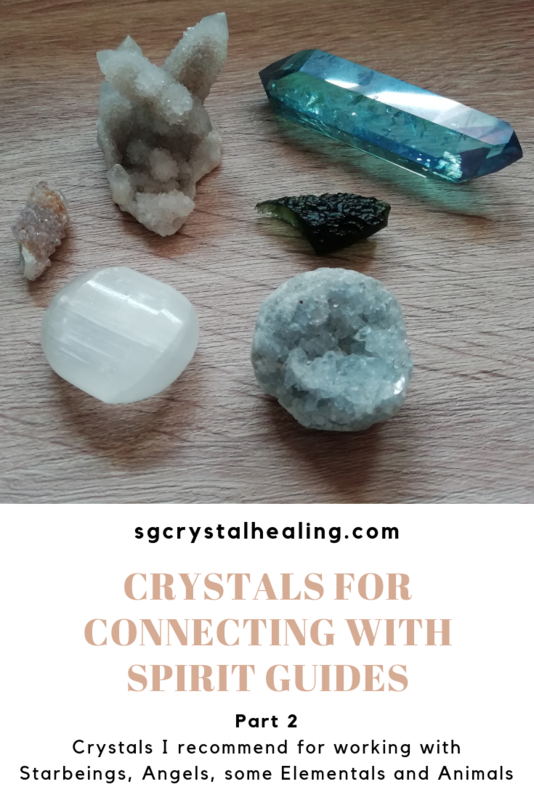 Join the discussion on my blog and share with me what crystals for connecting with spirit guides you’re into! Are there any mentioned crystals that stand out to YOU?